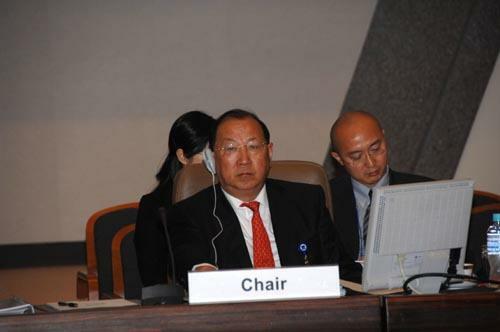 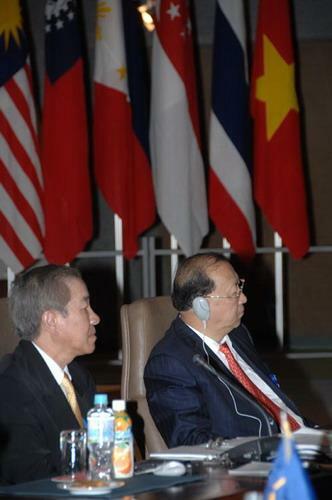 Mr. Chalongphob Sussangkarn, Finance Minister, and Mr. Jin Renqing, Finance Minister of People?? 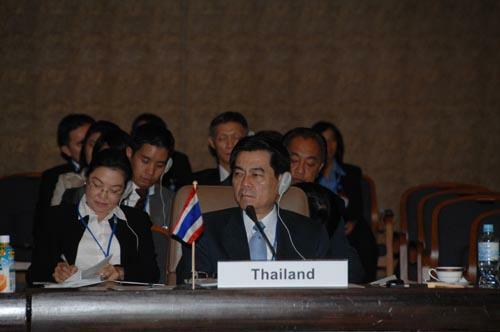 ?s Republic of China, presided over the 10th ASEAN+3 Finance Minister?? 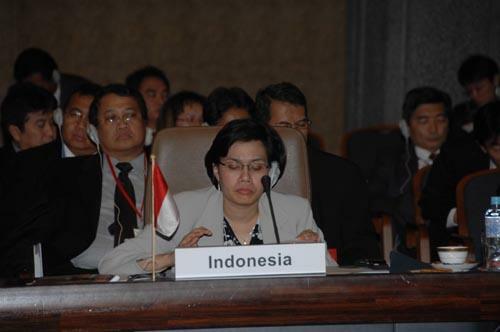 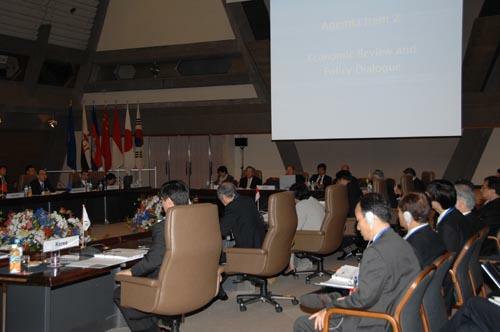 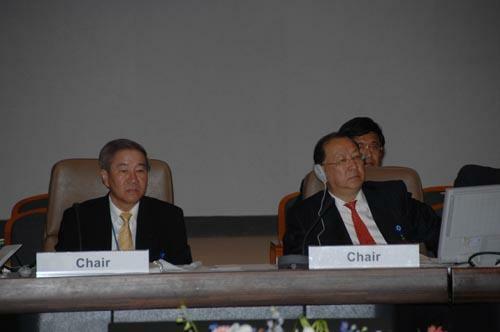 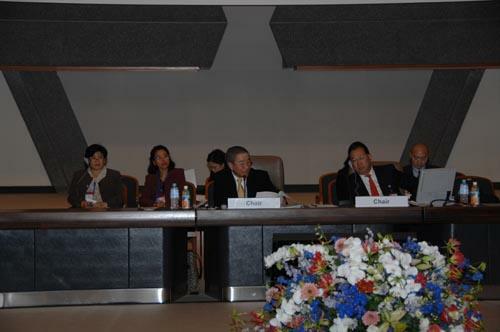 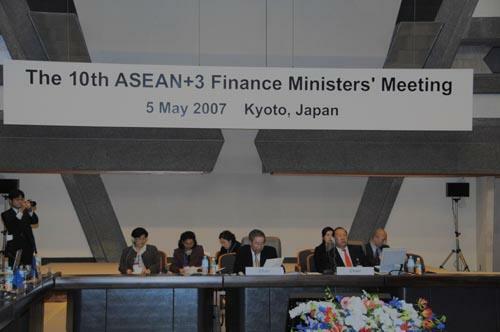 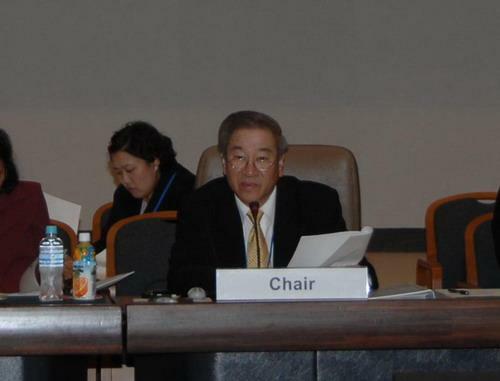 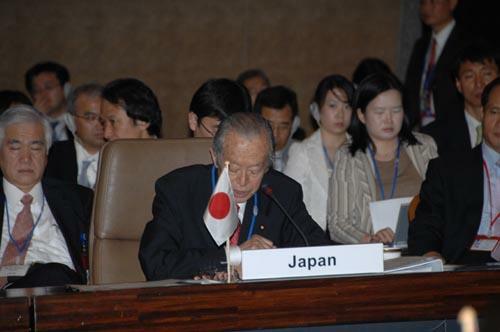 ?s Meeting: 10th AFMM+3, with Mr. Suparut Kawatkul, Permanent Secretary of Finance Ministry also joined the meeting, at Meeting Room A, Kyoto International Conference Convention, Kyoto, Japan, May 5 2007.